You must have come across such kind of questions, otherwise you wouldn’t be here. Let’s get straight to the point. In this guide, we would like to provide you 5 websites to download YouTube video to iTunes for free, and a wonderful desktop YouTube to iTunes video downloader and converter to help you download YouTube videos to iTunes with ease. It’s important to know what video formats iTunes accepts before we determine which websites to choose for downloading YouTube video for free. According to the official specs provided by Apple, iTunes accepts .m4v, .mp4, and .mov file formats with specific parameter codecs. The below 5 websites could all enable you to download YouTube video for free for iTunes in above mentioned formats. YouTubeConvert.cc is an online YouTube to iTunes converter, which lets you convert YouTube videos to MP4/MP3 as well as download YouTube videos. There are some quality choosing options. The larger file size, the higher quality will be. It starts by pasting video link into the box and click convert button. This online YouTube to iTunes converter is open-and-shut, new users can master it in seconds. Dl-Youtube-Mp3.net is totally free, fast and easy to use YouTube to iTunes video downloader and converter. It could easily download and convert YouTube videos to MP4 files for adding to iTunes. You only have to copy and YouTube video URL into the address bar on dl-youtube-mp3.net, and then set the output parameter details and output directory to download and convert YouTube video to iTunes MP4 file. Clip Converter is a free online media conversion application, which allows you to reocord, convert and download nearly any audio or video URL to common formats. Currently supported online video sharing services include: YouTube (HD, 720p, 1080p, 4K), Vimeo, Facebook Video and many more. It’s quite simple and easy to download and convert YouTube video to iTunes with this free YouTube downloader site. You just need to paste the YouTube video URL, set output details and then download YouTube video to your computer for free. 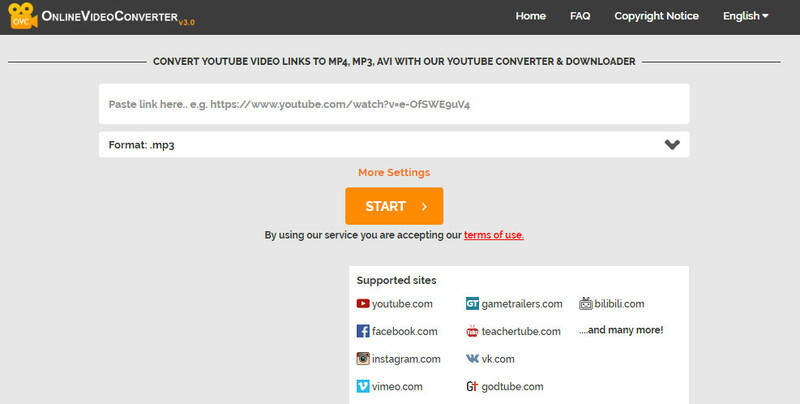 The Mpgun application is an easy, fast and free online youtube Converter without any registration or limits to download videos from Youtube with the possibility to convert them to mp3 or mp4 on the fly. MpGun will always fetch and convert to the best available quality to give you the best experience (a maximum of 320 Kbits/s for mp3 and HD 1080P for mp4 videos). mpgun is also ideal for android devices including mobile smartphones and tablets. OnlineVideoConverter.com is a comprehensive online media converter website that could help you convert, download and edit media files online for free. It includes a free YouTube video to MP4 downloader and converter that could easily download and convert YouTube videos to MP4 files. Therefore you could import the downloaded and converted YouTube videos (in MP4 format) into iTunes. 1.	copy the URL of target YouTube video you want to download. 2. Open the website that could download YouTube video to iTunes MP4 file. 3. Paste the URL into the browser bar and press the “Enter” key. 4. Set output details including output directory, video and audio codecs, etc. 5. Download the converted YouTube videos to your computer. 1. Not all free websites could download YouTube video to iTunes in HD (1080P, 720P or even 480P). 2. Some websites require you to register after several downloads. 3. The source file size might be limited. 4. You could only download one YouTube video for iTunes at a time. There are still other shortages, which have brought up the necessity of desktop YouTube to iTunes video downloader and converter tools. Leawo Video Downloader is what we would like to recommend to you for downloading YouTube videos. As a professional online video downloader program that could download video from 1000+ sites including YouTube, Facebook, Veoh, VEVO, etc., Leawo Video Downloader has successfully overcome the shortages of free websites in downloading YouTube video to iTunes. It supports batch YouTube video downloading, no extra plugin required, and no file size limitation. What’s more, it provides multiple download options for you to download. 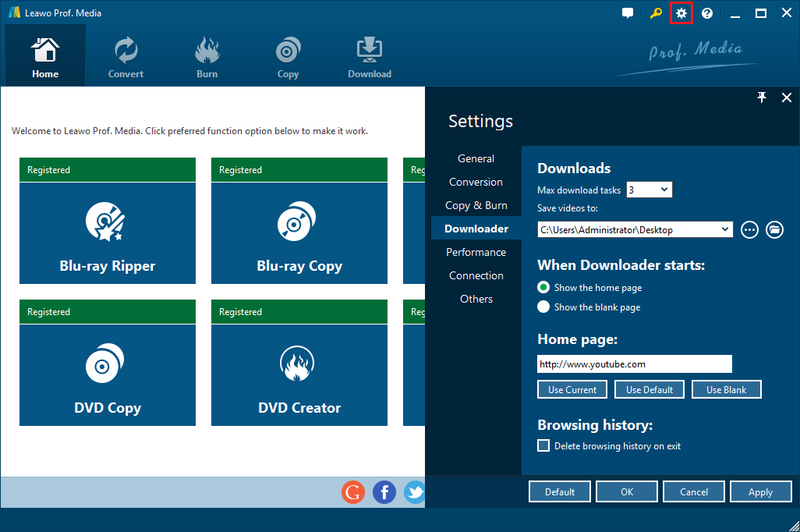 Download and install this video downloader program on your computer and then launch it. Follow the below steps to learn how to download YouTube videos to computer. Launch Leawo Video Downloader (a module built in Leawo Prof. Media). Click the wheel icon on the top-right corner and then navigate to the “Downloader” tab to set output directory in the “Save videos to” box. Open the “Download” module and then make use of the internal browser to browse the target YouTube video you want to download. Or, you could directly copy and paste the URL of target YouTube video you want to download into the address bar. Once you’ve reached the target video page, play the video back with the built-in YouTube video player to check whether it’s what you want to download. Then, on the right sidebar, you could see multiple download options in different resolutions, quality and formats. Choose the one you want to download. Select carefully since some options are audio-only. 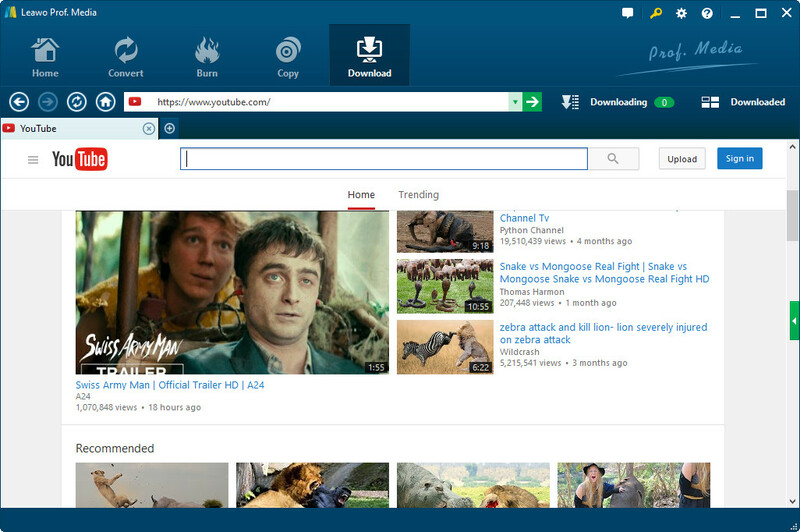 Then, click the download icon next to your choice to start downloading YouTube video. Carefully select the one that meets you needs. You could then view the downloading process on the “Downloading” panel. After downloading, you could view the downloaded YouTube videos under the “Downloaded” tab. With Leawo Video Downloader, you could easily download YouTube videos to computer. However, you need to know that Leawo Video Downloader only downloads YouTube video in original format, which could keep the original video quality to the most, without decoding and encoding. Sometimes the downloaded videos might in FLV or F4V format, which are not accepted by iTunes, you need to convert the downloaded YouTube video to iTunes compatible MP4, MOV or M4V file format. On the “Downloaded” tab mentioned above, right click downloaded YouTube video and then select “Add to Convert” option to add downloaded YouTube videos to the Convert tab, which is actually Leawo’s Video Converter, a professional video converter program that could enable you to convert YouTube to Apple TV, make iPhone ringtones from YouTube video, convert YouTube to MP3, etc. It could convert video files between hundreds of video formats like FLV to MKV, MP4 to MKV, MP4 to AVI, AVI to MKV, etc. The below step-by-step guide would show you how to convert YouTube to MP4 for iTunes with Leawo Video Converter in detail. Under the “Downloaded” tab, right click downloaded videos and then choose “Add to Convert” option to add downloaded YouTube videos to Convert module. Click the button next to “Add Photo” button and then choose “Change” option to enter the Profile panel. Then, successively open “Format > Common Video” group to choose MP4 Video as output format. Or you could open “Format > HD Video” group to choose “HD MP4 Video” format as output format. After setting output format, click the big green “Convert” button. On the popup sidebar, set output directory in the “Save to” box. After that, click the bottom grey “Convert” button. Leawo Video Converter would start to convert downloaded YouTube videos to iTunes MP4 immediately. After conversion, you could then import the converted YouTube videos to iTunes as you usually do. Both online free YouTube video to iTunes downloader websites and desktop YouTube to iTunes converter (Leawo Video Downloader and Video Converter) helps you add YouTube video to iTunes. The below table would show you their differences.